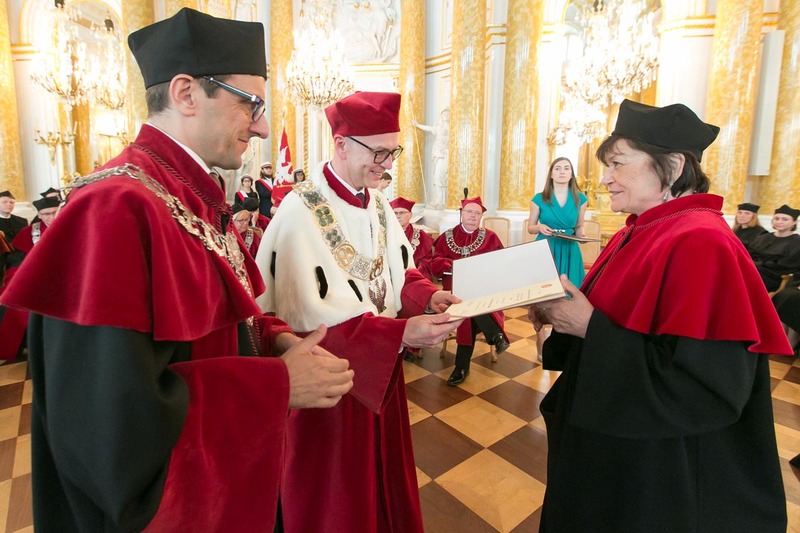 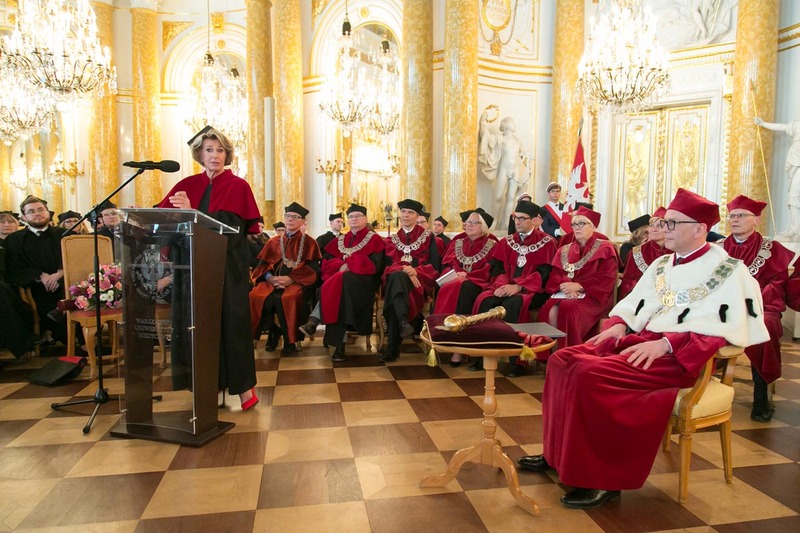 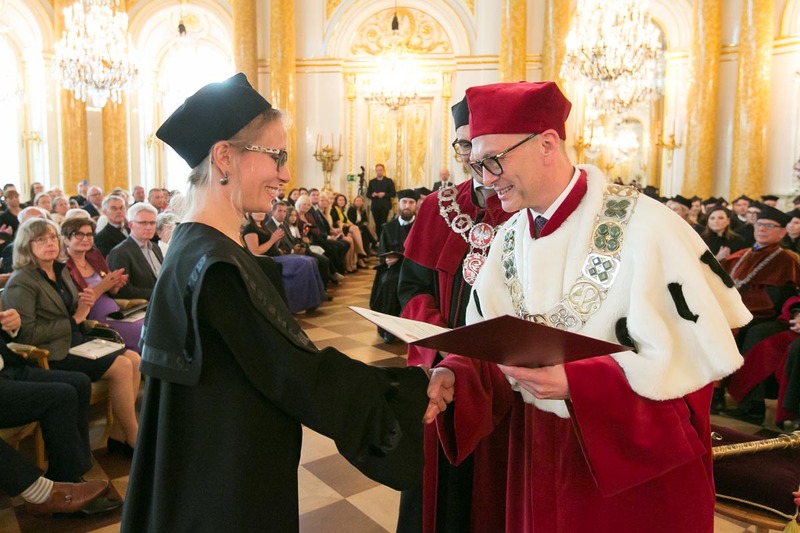 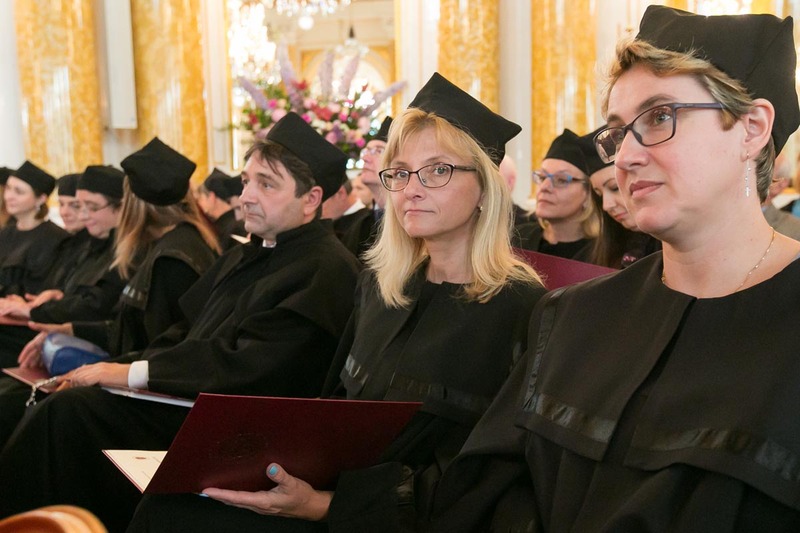 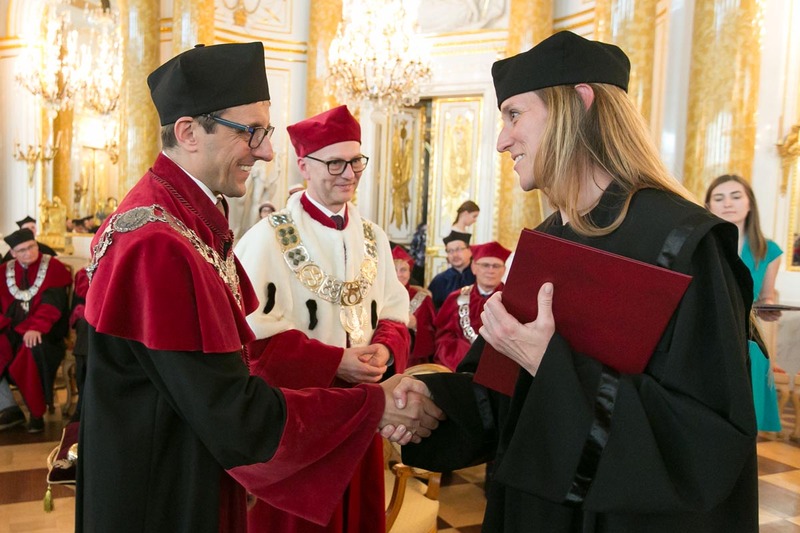 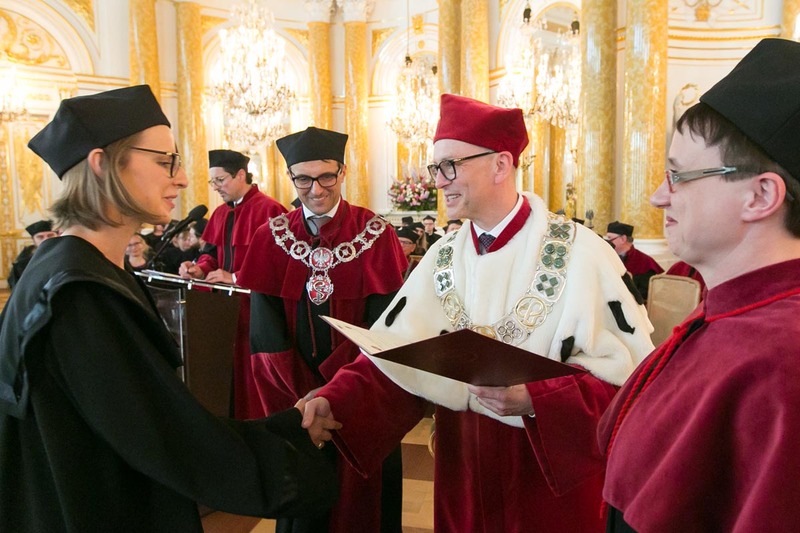 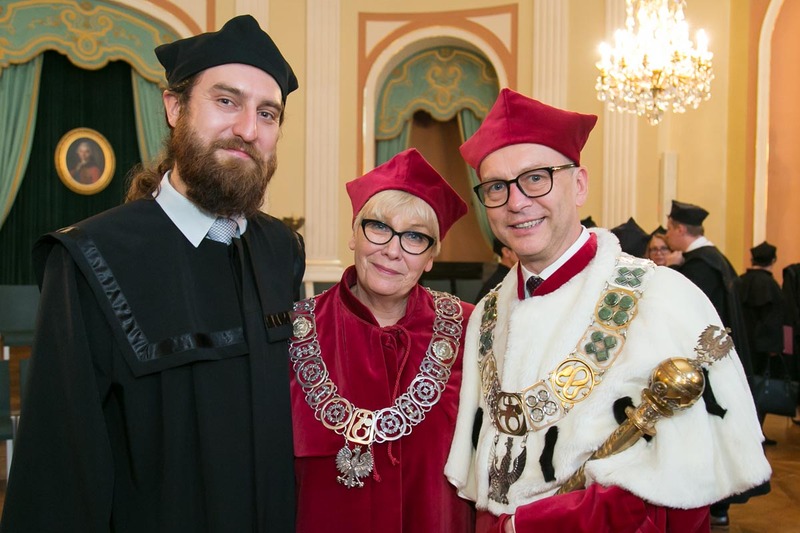 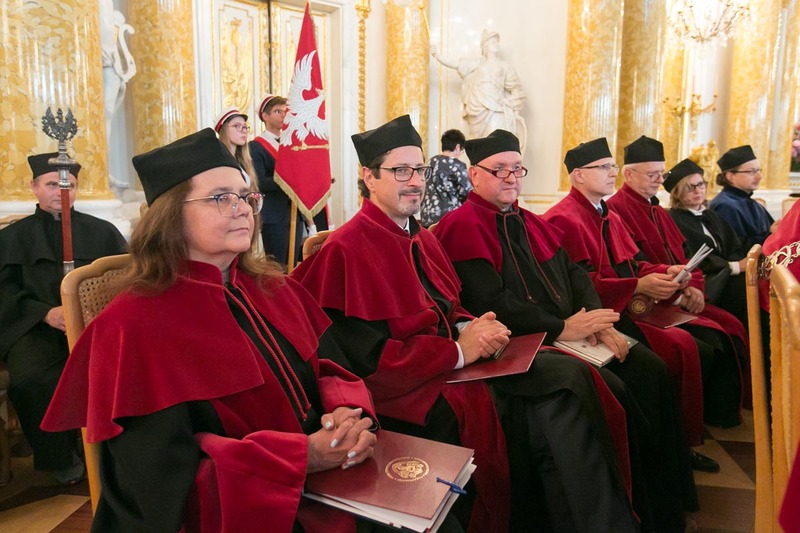 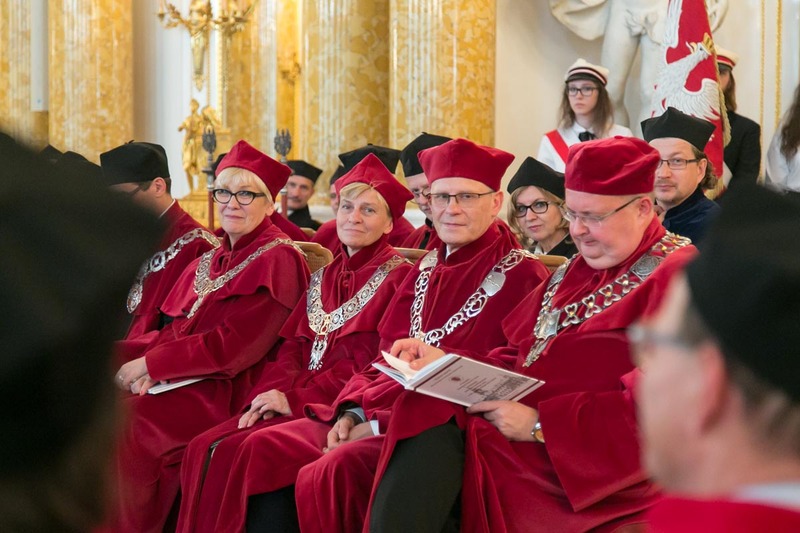 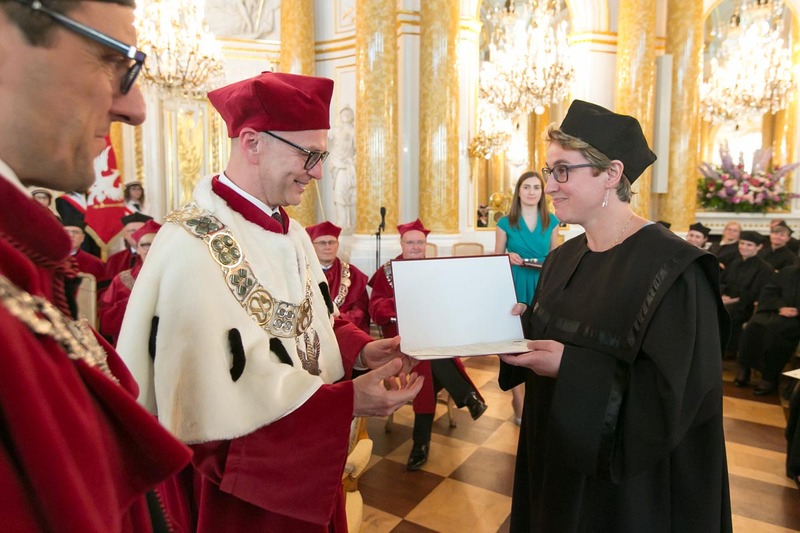 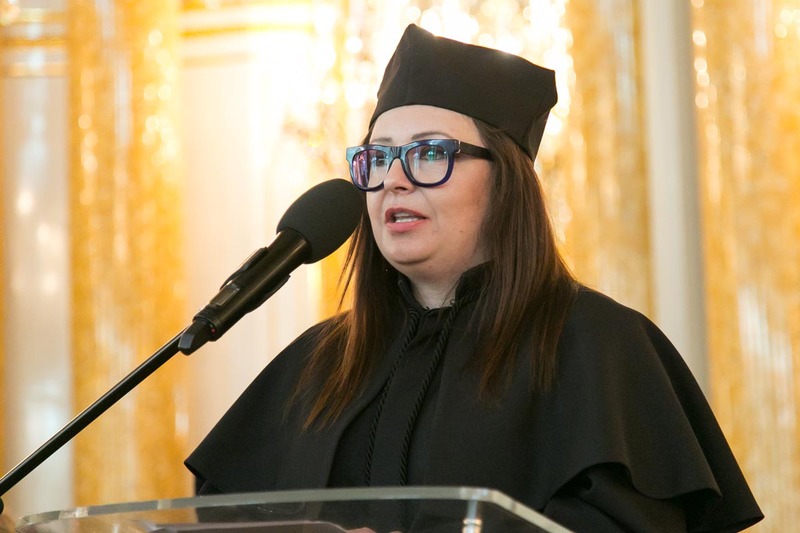 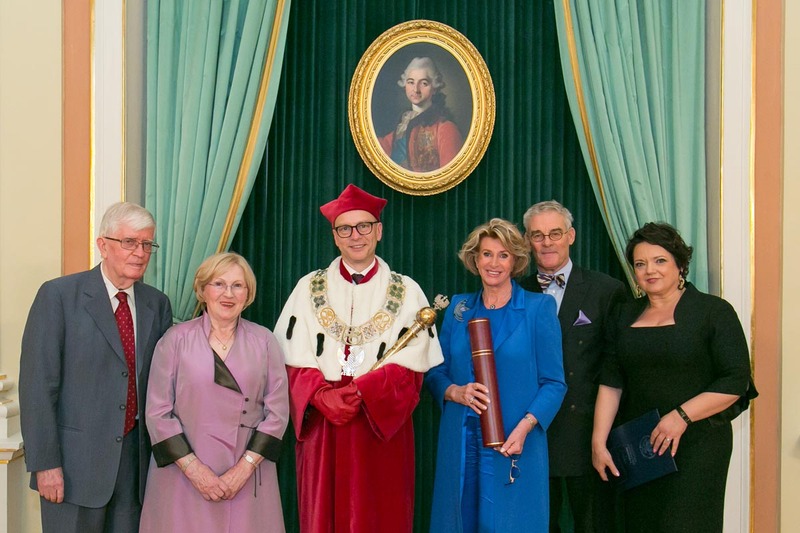 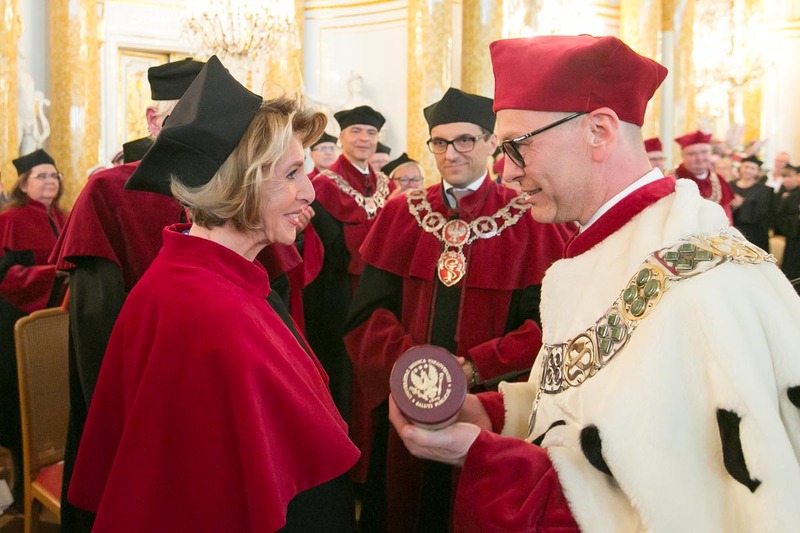 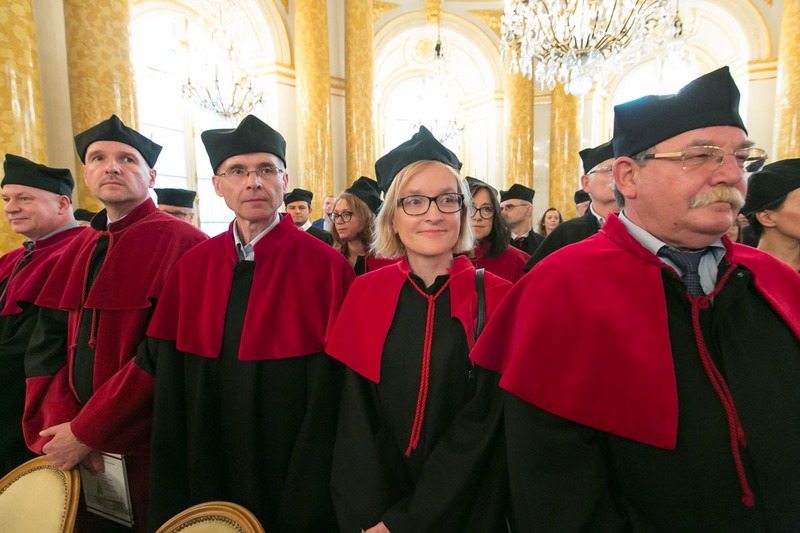 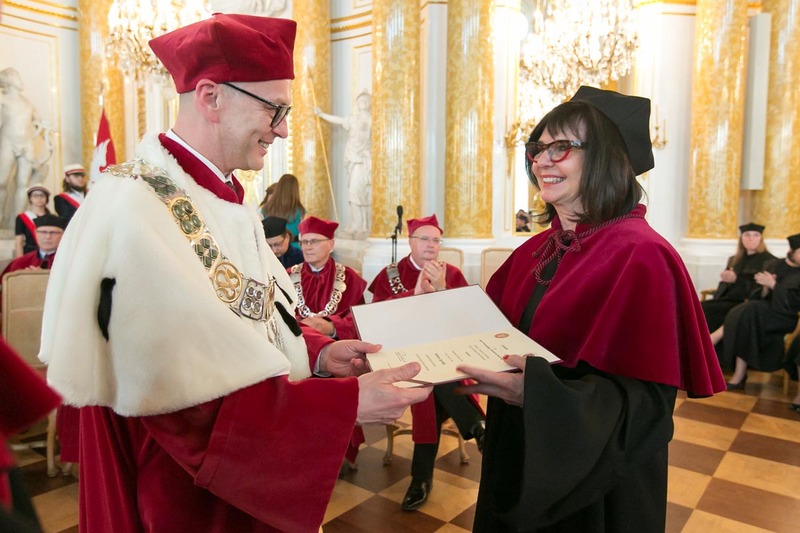 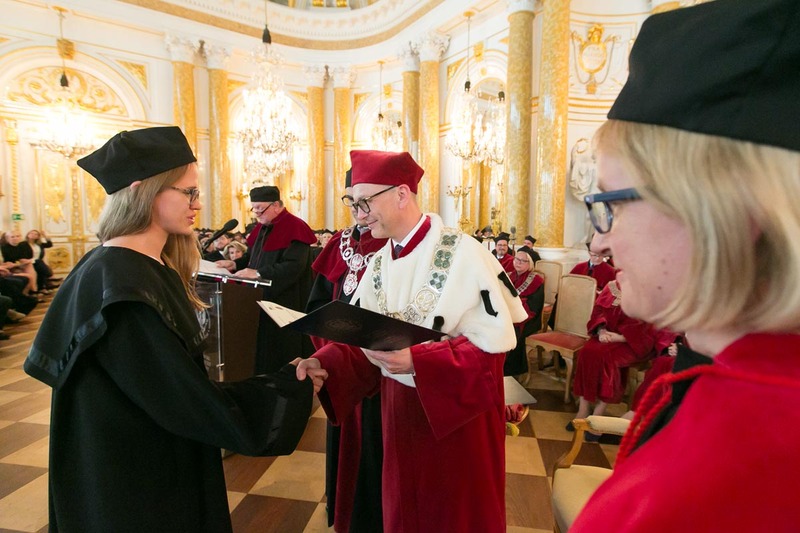 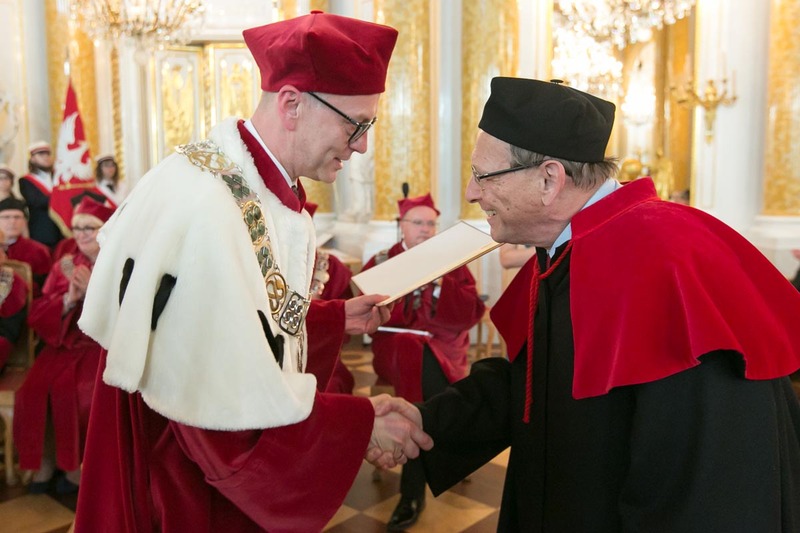 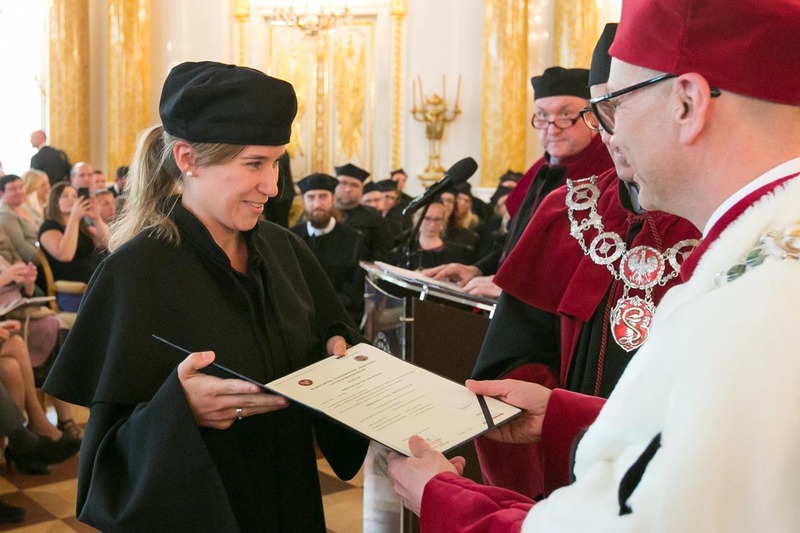 In presenting Prof. Kuligowska with an Honorary Degree, the Medical University of Warsaw acknowledged Prof. Kuligowska’s invaluable contributions to the field of radiology, scientific and teaching achievements, as well as cooperation with the Medical University of Warsaw. 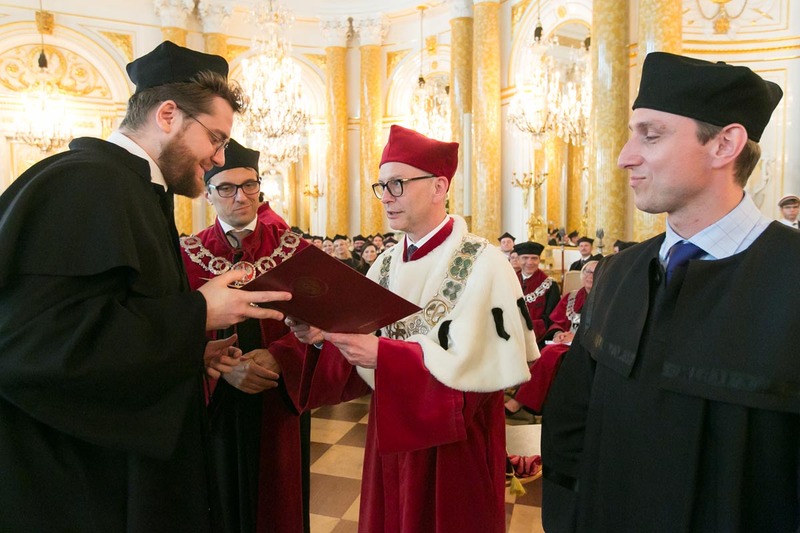 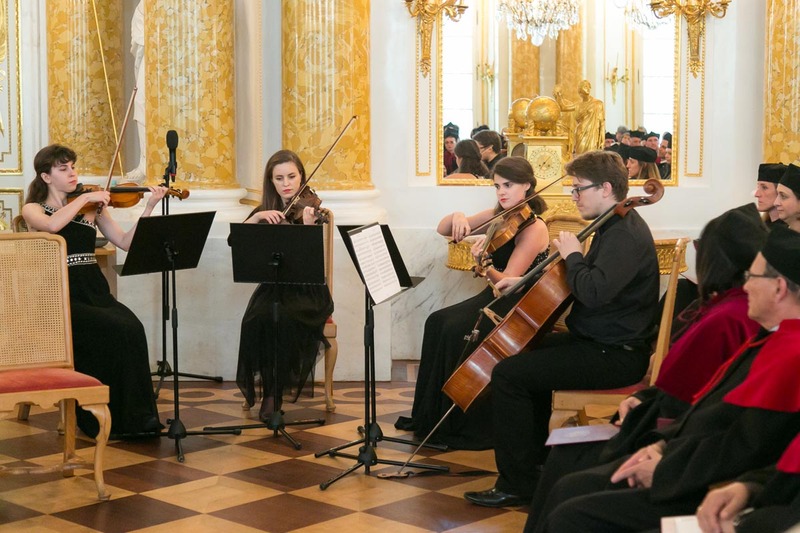 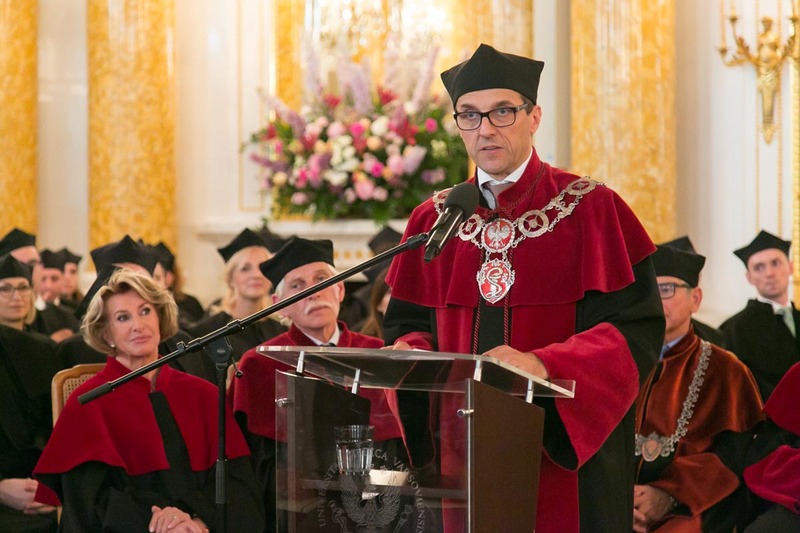 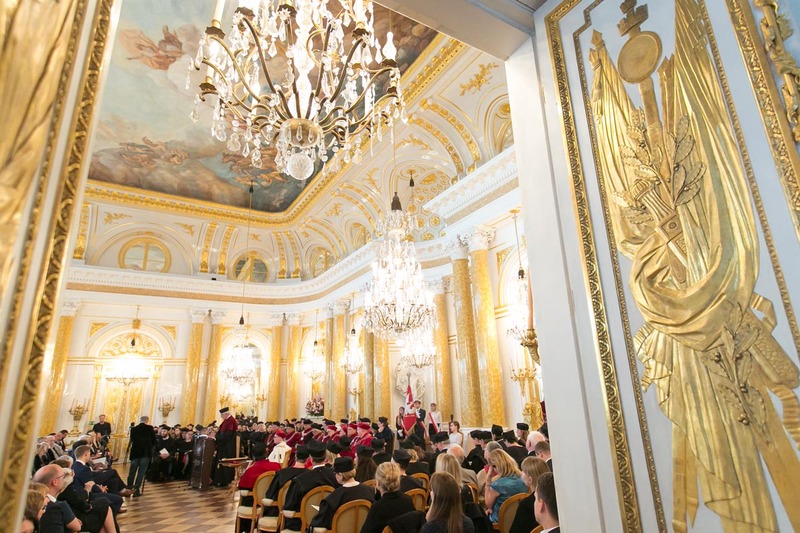 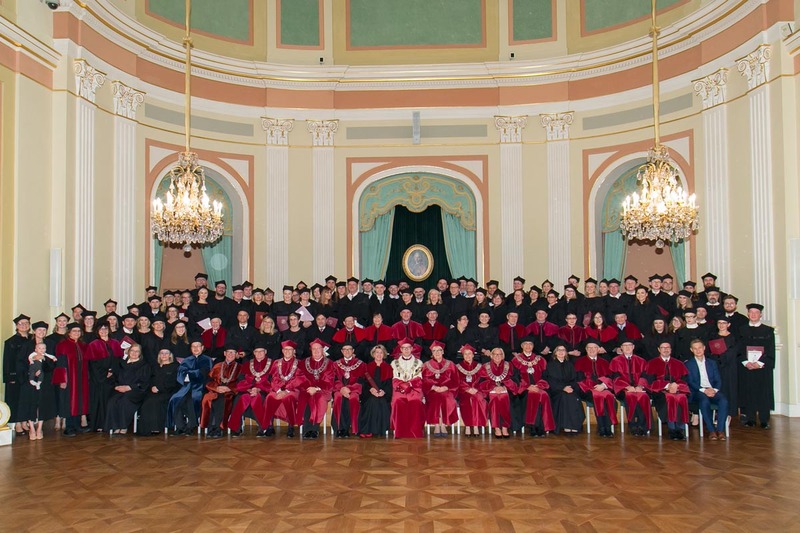 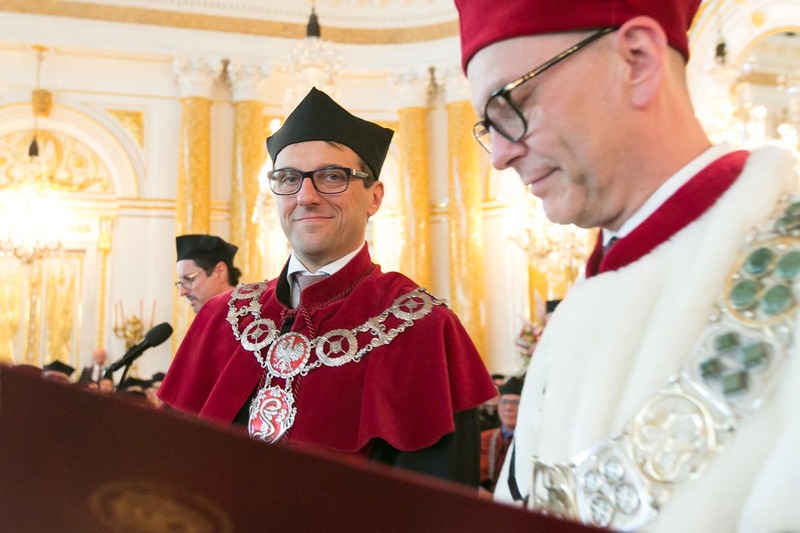 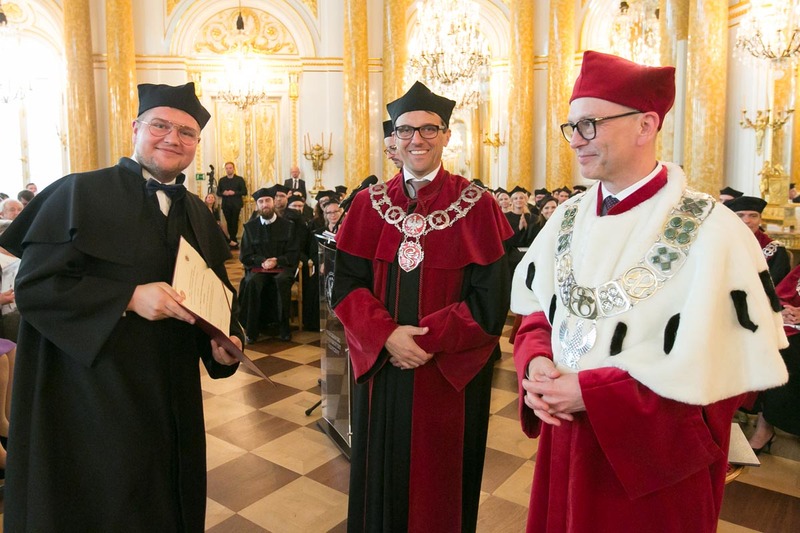 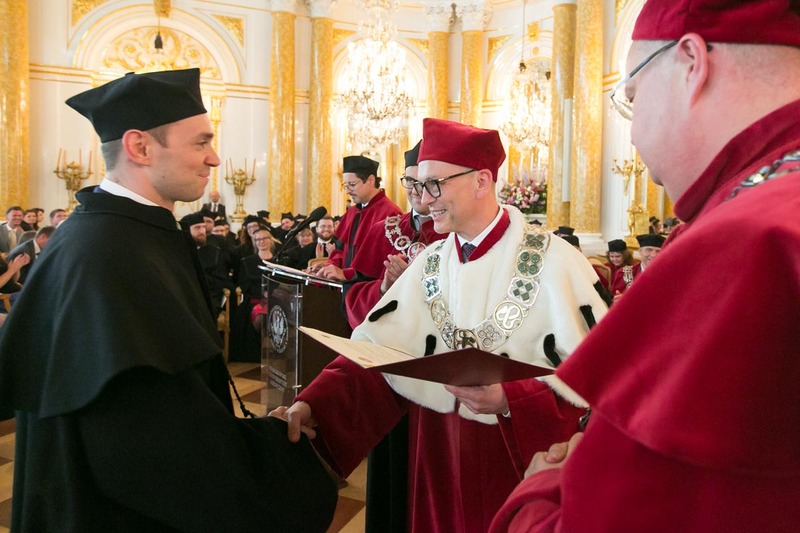 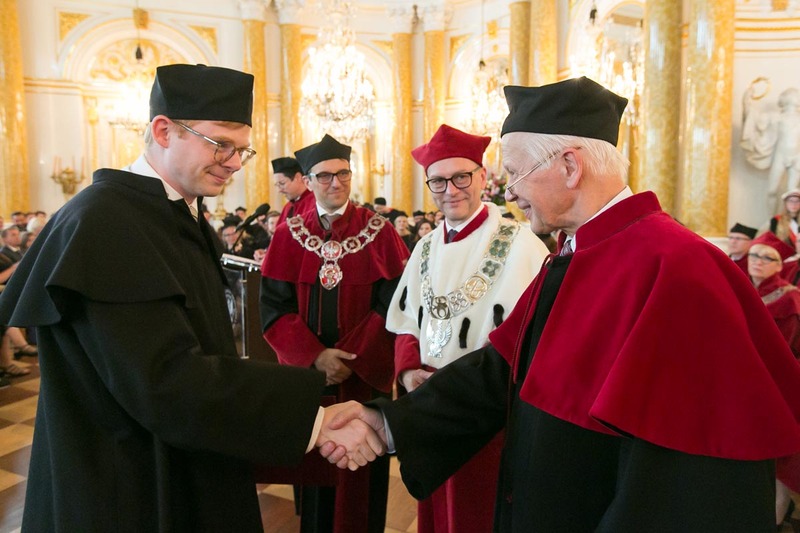 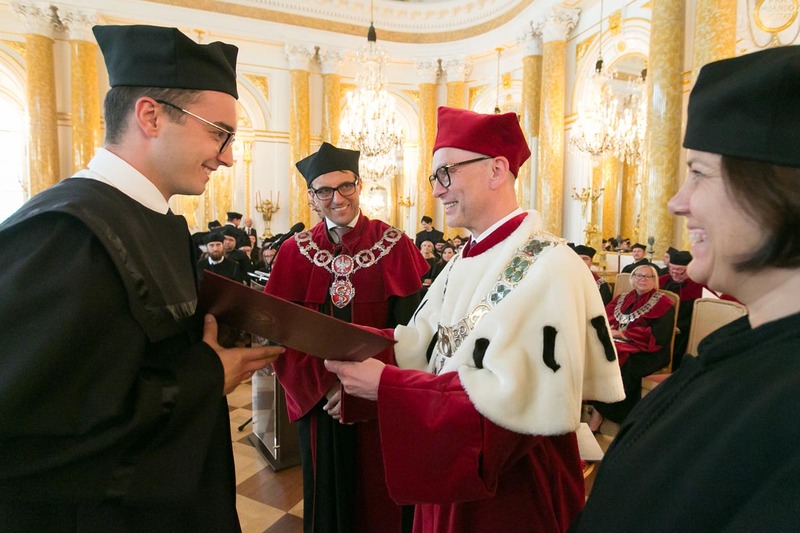 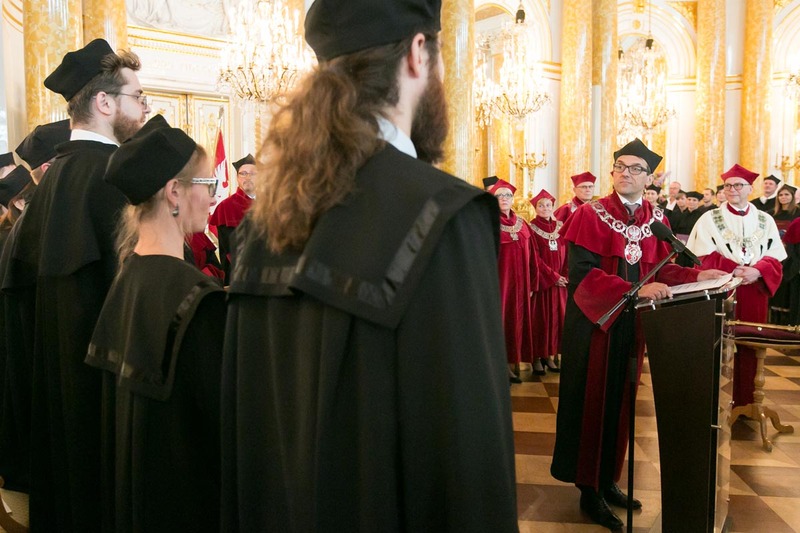 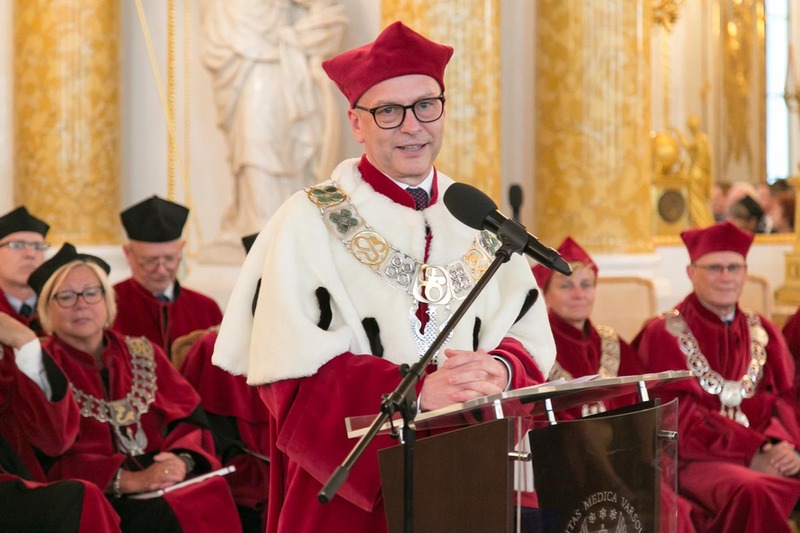 The ceremony took place in the magnificent Great Assembly Hall of the Royal Castle in Warsaw. 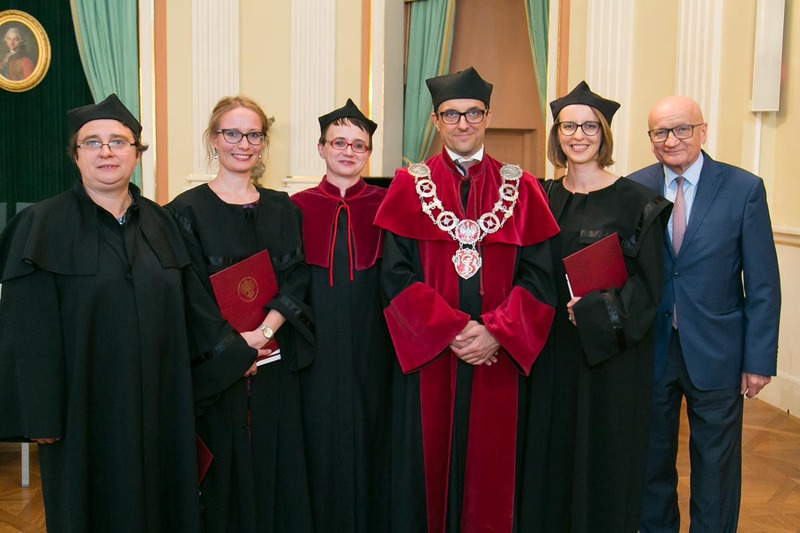 The ceremony was also an occasion to celebrate the conferment of postgraduate degrees on 2017-2018 graduates from the 1st Faculty of Medicine and the Biostructure Center. 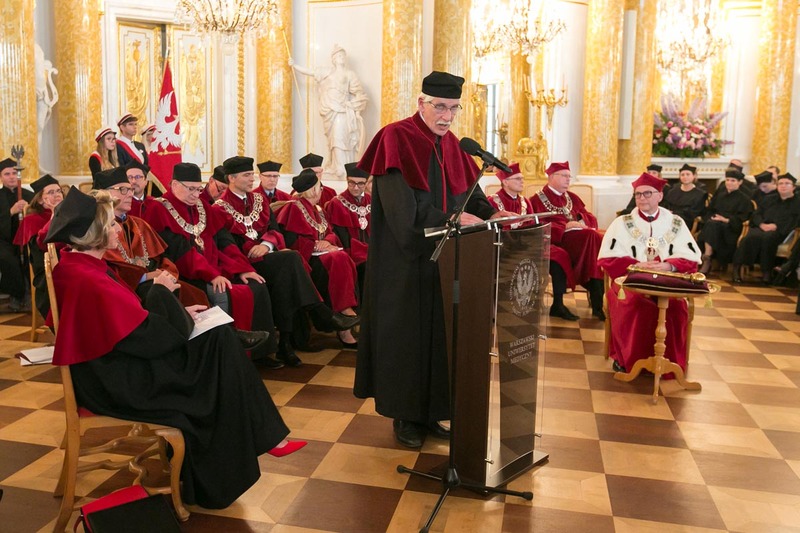 Congratulatory letters addressed to the newly appointed professors were also read out loud at the event.